The G7 Energy Ministerial Meeting will be held in Kitakyushu on May 1 and 2, at which global issues on security and sustainability of energy will be discussed by the energy ministers of the Group of Seven — Japan, Britain, Canada, France, Germany, Italy and the United States — as well as the European Union, the International Energy Agency and other organizations. The Kitakyushu meeting is one of 11 meetings Japan will host this year, typical for those countries hosting G-7 summits. Hosting duties rotate among the seven countries, with each hosting the main summit meeting, as well as ministerial meetings on topics such as energy, science and technology, agriculture and diplomacy. Kitakyushu, which was selected in June 2011 as the first green growth model city in Asia by the Organisation for Economic Co-operation and Development (OECD), is an ideal municipality to host the energy ministers meeting, as the environment and energy have been key points for the city. In the early 20th century, the city was the driving force of Japan's economic growth, relying heavily on the operations of the Imperial Steel Works, Japan (Yawata Steel Works). Unfortunately, the industrial success led the city to experience serious pollution problems in the 1960s. Since then, the city has worked with the private sector on cleaner production methods and energy conservation to reduce emissions of soot and harmful substances. The measures proved successful and companies in the city managed to achieve greener operations without experiencing financial harm. These experiences were major influences on the city's environmental policies, leading to the recognition by the OECD. After the March 11 disaster in 2011, as calls for smarter uses of energy have intensified, Kitakyushu has strengthened measures to produce renewable energy and consume energy in a smarter manner. The coastal area of Hibikinada is an energy hub for the city. It has windmills on land and offshore, taking advantage of the heavy winds in the area. The marine windmills are the first of their kind on the Sea of Japan coast. Additionally, the Hibikinada area is also home to legacy energy as well, functioning as a key spot for importing liquid natural gas and storing oil and coal. That makes an ideal combination, giving the area massive potential as the center of power generation via wind power, as well as high-efficiency thermal power. The area earned the honor of being named a "Next Generation Energy Park" from the Ministry of Economy, Trade and Industry in 2007, the first such recognition in Japan. The city is aiming to make the area a hub of wind power generation and, taking advantage of geographical proximity, sees the potential to spread the technology throughout Asia. 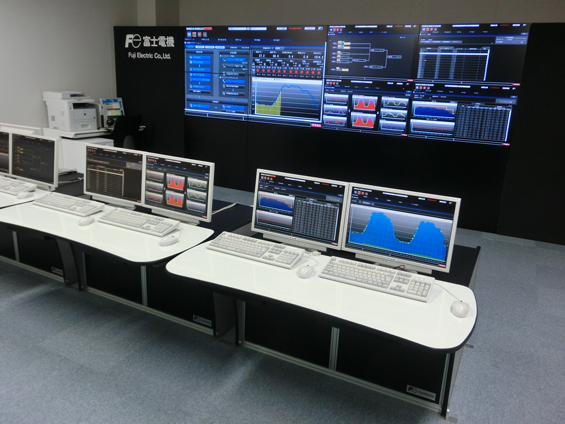 Kitakyushu is also making strides in the smart use of energy. The government in 2010 designated four municipalities and regions as smart model communities and provides subsidies for their energy projects. Kitakyushu is one of the four. Kitakyushu's smart energy project seeks to create the appropriate social structures for a low-carbon society by innovating lifestyles, business styles and urban planning styles by implementing the "Community Energy Management System," or CEMS, "Building Energy Management System," or BEMS and "Home Energy Management System," or HEMS. For example, the city set up a system to monitor household power usage, allowing them to pinpoint peak energy consumption. By knowing peak times, households can adjust their consumption, reducing usage at times of high demand. Also, many facilities have installed energy-saving systems, using efficient appliances and other equipment. Additionally, the city built the Kitakyushu City Residents Solar Power Plant in 2013, under an unprecedented plan that saw residents' purchase of public bonds and other funds pay for the construction and operation of the plant, while the plant paid out a portion of profits to the residents in the form of interest payments. Such plans help households develop awareness of the importance of renewable energy. To promote more efficient connections between power producers and consumers, the city established Kitakyushu Power Co., of which the city owns 25 percent and various area companies hold the rest, in December. The city dispatches some staff to the company, which purchases electricity generated by burning garbage at incinerators in the city to supply power to public facilities. 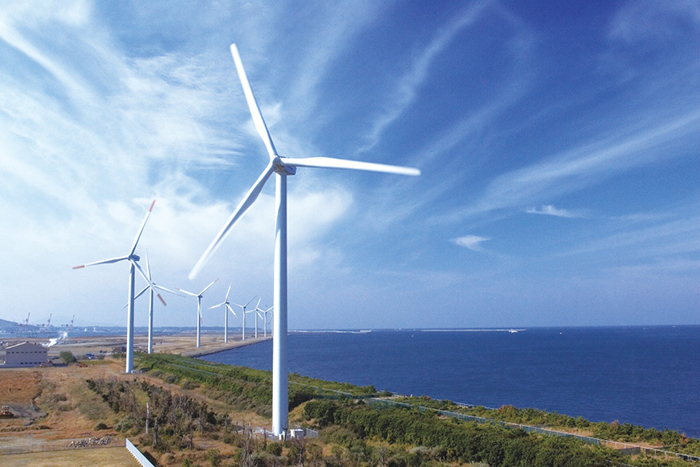 The company, which began operation in April, also has plans to purchase electricity from windmills and other renewable energy sources in the Hibikinada area and sell it to local companies. As part of another effort to be "smart," the city created Kitakyushu Hydrogen Town in collaboration with the Research Association of Hydrogen Supply/Utilization Technology. 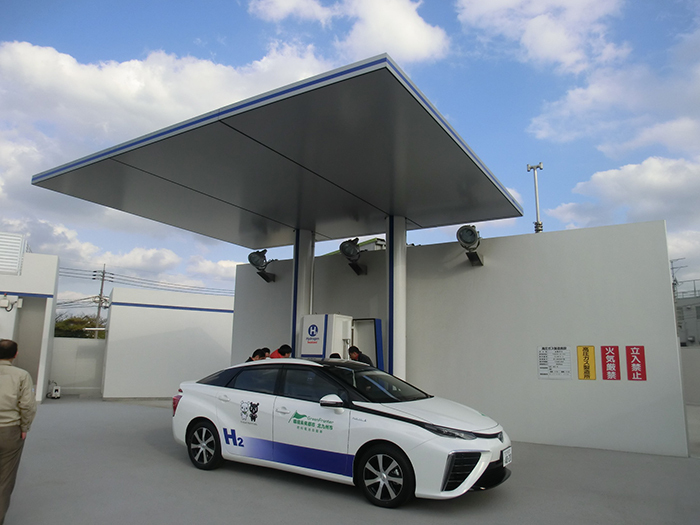 The move is part of Fukuoka Prefecture's Hydrogen Strategy (a.k.a. Hy-Life), in which the cities of Kitakyushu and Fukuoka work together. The benefits of hydrogen as an energy source are clean emissions and its abundance on the planet. Fukuoka Prefecture supports the two cities with research and development on hydrogen production, transport, storage and use as fuel. Kitakyushu Hydrogen Town supplies hydrogen through pipelines to houses, public facilities and other structures with hydrogen fuel cells. The city has also been working in cooperation with Asian cities on the environment for more than 30 years, sharing know-how from its experience of resolving pollution problems. It has been collaborating with the Japan International Cooperation Agency and the Kitakyushu International Techno-cooperative Association. It has accepted 7,800 people from 151 countries and regions for training and sent more than 180 experts to 25 countries to offer training on manufacturing and the environment. The city has been involved in environmental cooperation with Asian cities, including Phnom Penh, Surabaya, Indonesia, Hai Phong, Vietnam and Dalian, China. In Phnom Penh, Kitakyushu has been cooperating on the development of water supply infrastructure, achieving a 24-hour drinkable water supply, an accomplishment praised as the "miracle of Phnom Penh." Kitakyushu helped Surabaya reduce industrial waste to clean rivers and Hai Phong with water purification, energy-saving technology and measures against air pollution. The city also proposed the Dalian Environmental Model Zone Project, resulting in dramatically improved environmental conditions in the Chinese city. Kitakyushu is also blessed with many places of interest for tourists, including several UNESCO World Heritage sites. The 23 sites of Japan's Meiji Industrial Revolution were registered as World Heritage sites in 2015. One of them, the Imperial Steel Works, Japan, which greatly contributed to the development of Japan in the early 20th century, is in Kitakyushu. As such, energy and the environment have historically been at the center of Kitakyushu's development and it is Kitakyushu's mission to continue to thrive as a city leading the world in energy and the environment. We sincerely welcome your visit to our prefecture for the G7 Energy Ministerial Meeting in Kita- kyushu. For the international community, securing a stable supply of sustainable energy has become an extremely important mission. It has become especially important in Japan after the Great East Japan Earthquake for each community to take initiatives on their own energy policies from two sides — the efficient use of energy on the demand side and the promotion of diversified energy supplies on the supply side. Fukuoka Prefecture is one of the regions with the most innovative energy policies in Japan. Following the implementation of the renewable energy feed-in tariff system, Fukuoka Prefecture has been Japan's number one producer of mega-solar energy. The prefecture is ranked second in the production of renewable energy, some of which is produced at home. We are focusing on hydrogen, an element with a high-energy conversion rate that could be used in various forms of clean energy. In 2004, with the vision of creating a hydrogen energy society, we founded the Fukuoka Strategy Conference for Hydrogen Energy, a collaborative organization comprised of all Japan energy related parties in the industrial, academic and public sectors — the first of its kind in Japan. 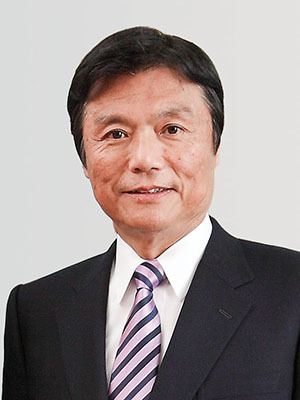 The organization also actively promotes the Fukuoka Hydrogen Strategy (a.k.a. Hy-Life Project) that focuses on research and development, the commercialization of hydrogen and fuel cell batteries and human resource development. The prefecture is not only a place for innovative energy policies, but also home to industrial clusters of the automotive and robot industries. The prefecture boasts many attractive tourism spots, delicious food, unique culture and excellent agricultural products. I am confident that visitors to our prefecture will enjoy the many things we have to offer. Since the start of operations at the former state-owned Imperial Steel Works, Japan, the facilities of which were added to the UNESCO World Heritage list last year, the city of Kita- kyushu has continued to play a leading role in the modernization of Japan's industries. After first overcoming the serious environmental pollution that arose as a result of industrial development, we applied measures to save energy and conserve natural resources, and introduced new energy resources to give shape to environmentally friendly energy policies. 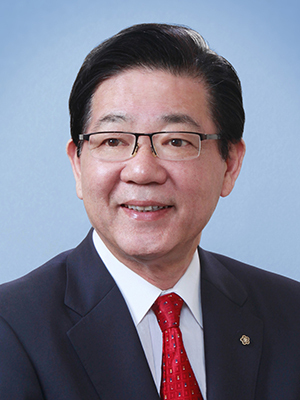 As a result, in June 2011, the city was selected by the Organisation for Economic Co-operation and Development as a green growth model city, the first in Asia, where environmental preservation and economic growth stand on the same ground. We are also engaged in international environmental cooperation and technical assistance projects with developing nations, utilizing the technologies and know-how gained in the course of overcoming past environmental pollution. Those measures have been highly acclaimed, and we were selected as the host city for the G7 Energy Ministerial Meeting. On the days of the meeting, we will be fully prepared to welcome not only the ministers, but also accompanying officials and others visiting our city. Additionally, we will be disseminating information to both domestic and overseas markets on our energy and industry measures. This includes the robot industry in our city, measures promoted by the city of Kitakyushu and Fukuoka Prefecture to create a hydrogen society and our innovative energy and environment policies embodied in our smart community and hydrogen initiatives. We also hope that our guests will take the time to enjoy all the attractions that Kitakyushu has to offer, including popular sightseeing spots, delicious seafood and mountain delicacies. Lastly, I would like to offer my best wishes for the success of the meeting. We hope that you will have an enjoyable visit in our city and will leave happy that you had a chance to visit Kitakyushu.